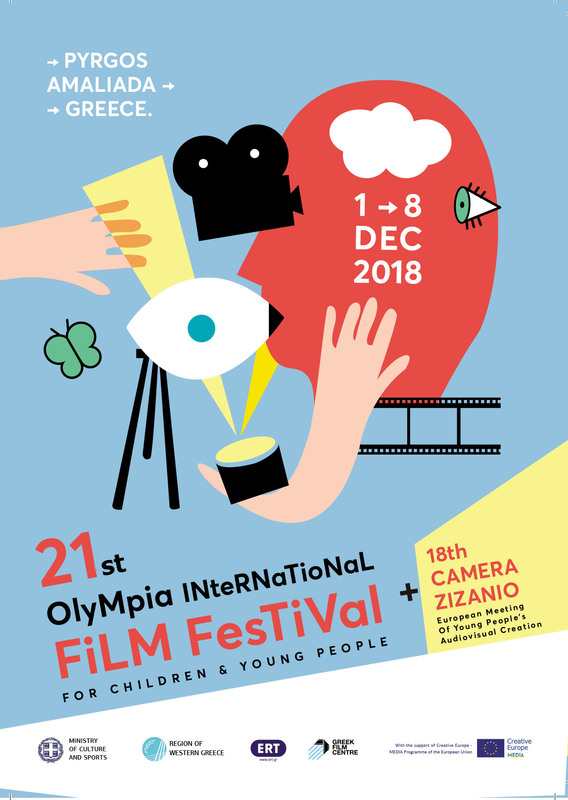 The 1st European Meeting of Audiovisual Creation-Camera Zizanio was held from November 25 to December 8, 2001, within the framework of the 4th Olympia International Film Festival for Children and Young People in Pyrgos. The screenings took place at the cinema CINEPLEX ORFEFS in Pyrgos. Only European films, from Greece, Spain, France, Norway, Belgium, Hungary, Bulgaria, Italy and the Netherlands, took part in the competition section. Screened within the framework of the information section were films based on children’s ideas, from Egypt, Germany, Ireland, Spain, Israel, Italy, China, Hungary and Slovenia, made with the assistance of the International Communication Centre for Children and the Ciak Junior Festival, Treviso, Italy. There were also films made by young people who are at risk, from Artic Canada (children of the Inouit tribe), Mozambique (children who had been soldiers), Peru (working children), Poland (children of alcoholic parents) and the Philippines(young girls from a mountain tribe). Those films are the result of the project Teen Video Stories, with the assistance of the International Film Centre for Children and Young People -CIFEJ- and the production company, Ole Gjerstad, which focuses on children.